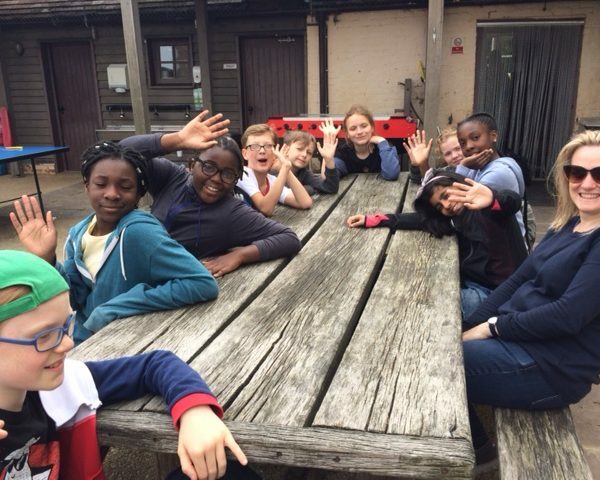 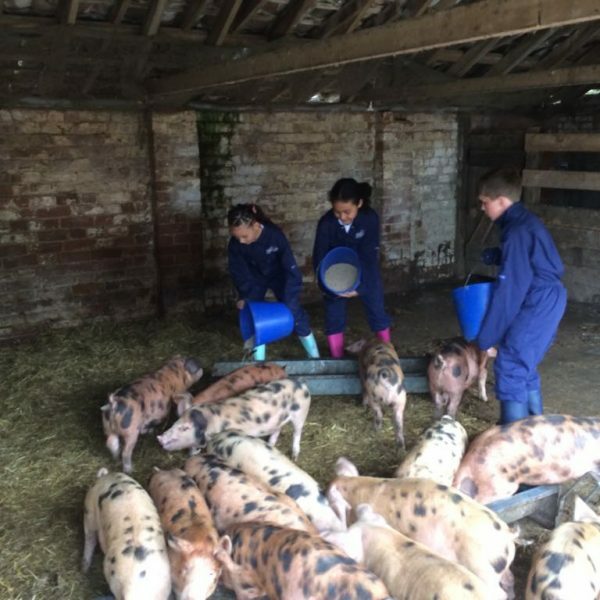 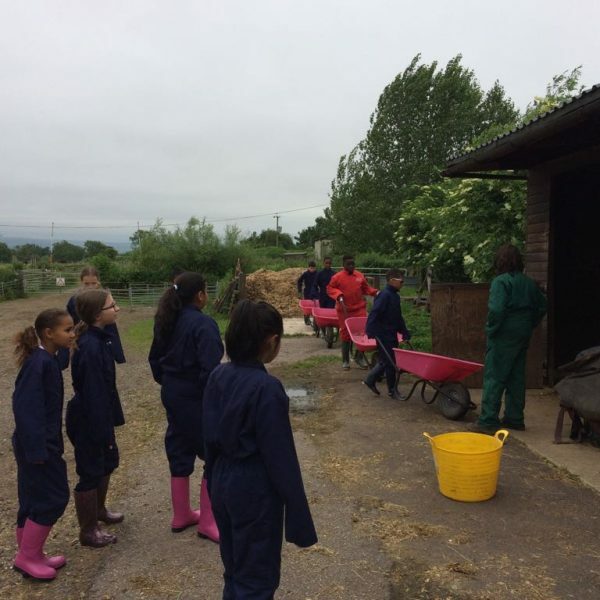 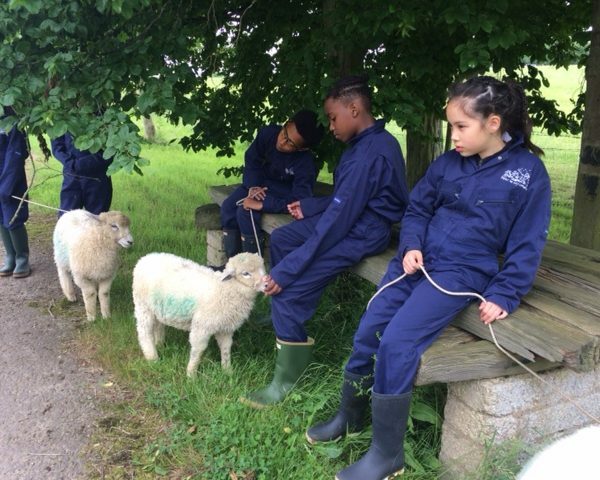 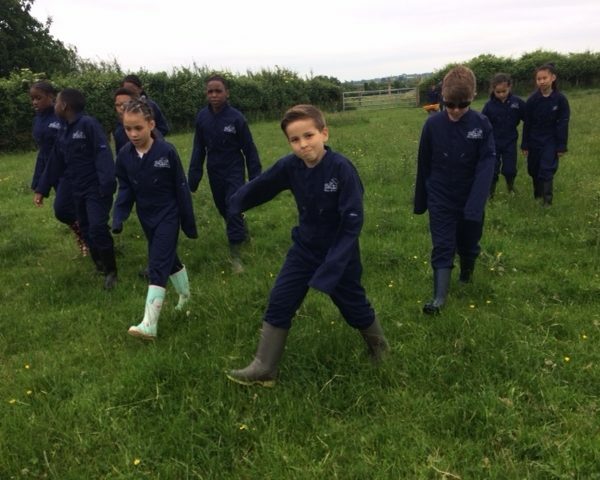 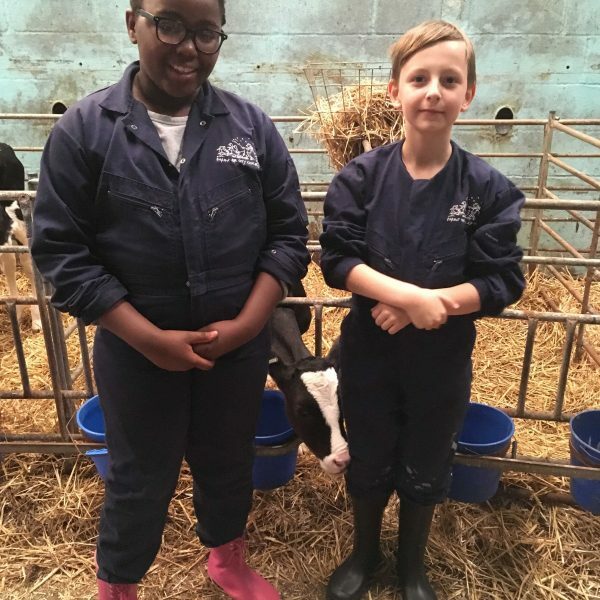 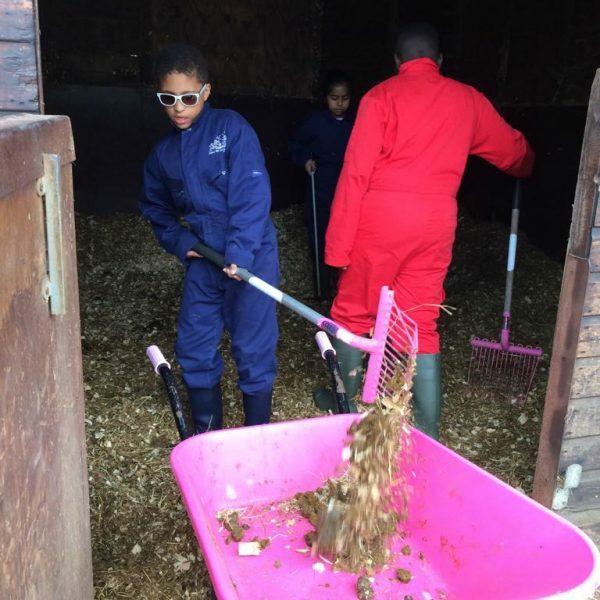 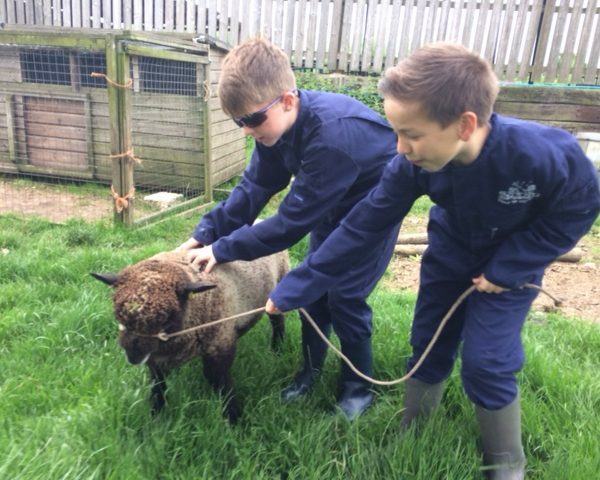 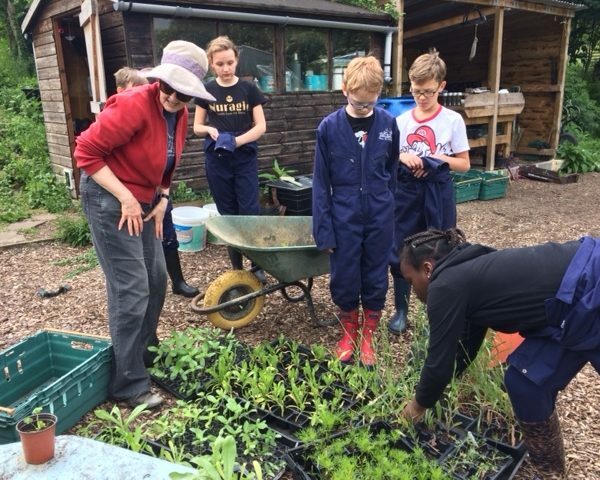 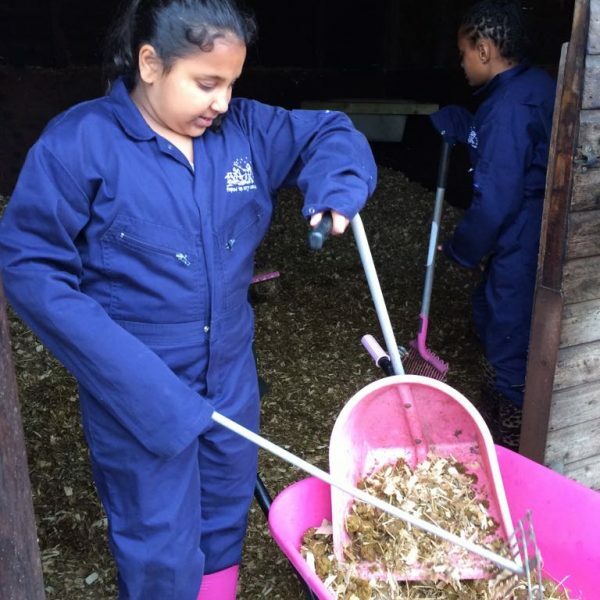 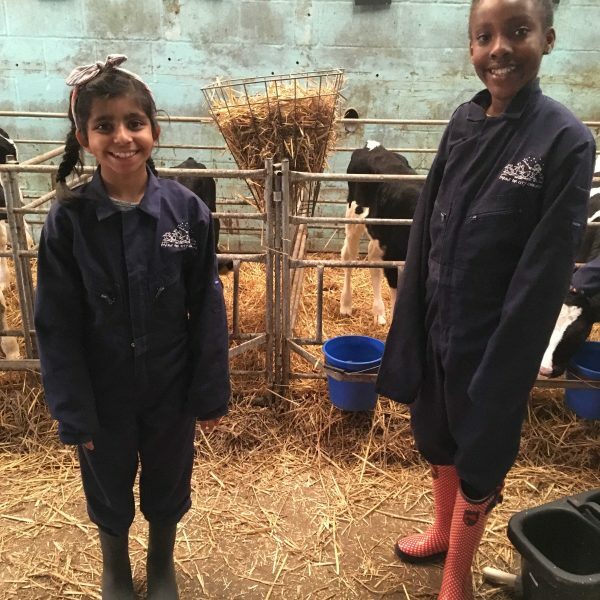 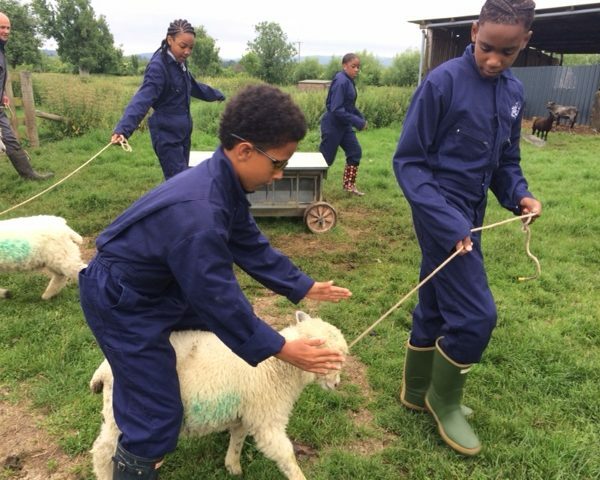 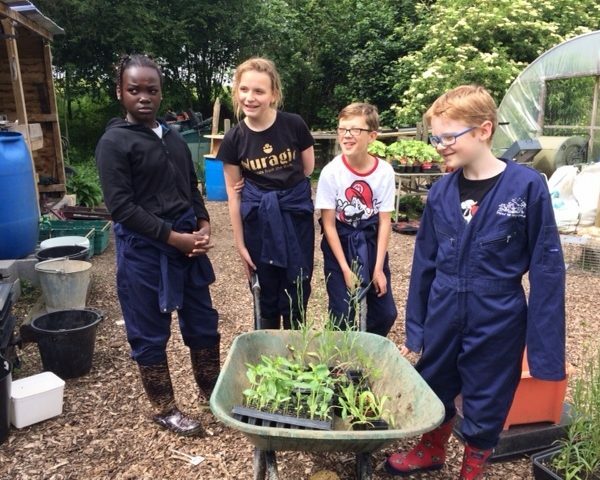 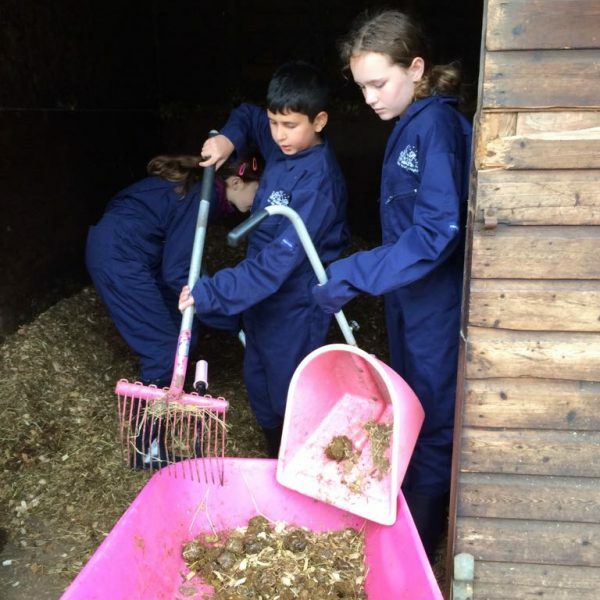 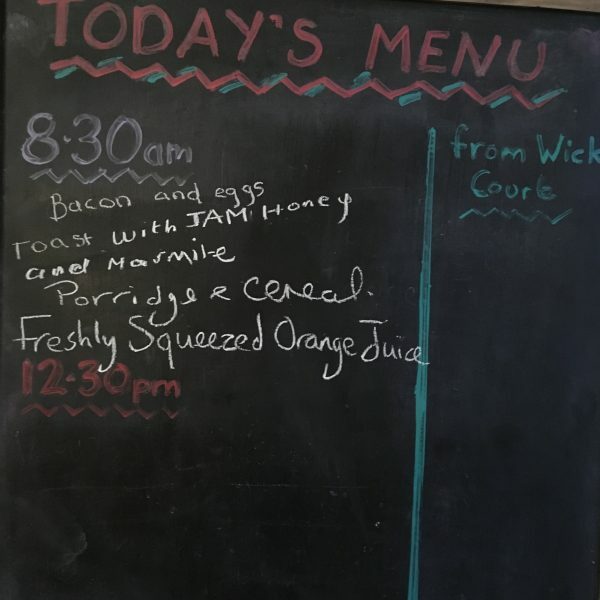 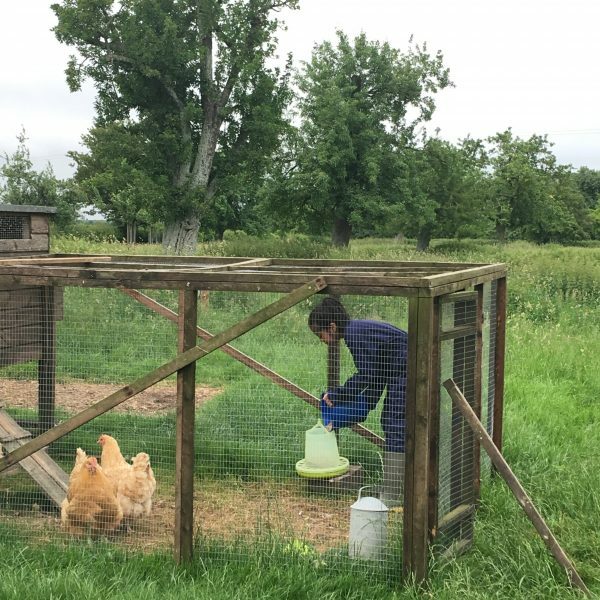 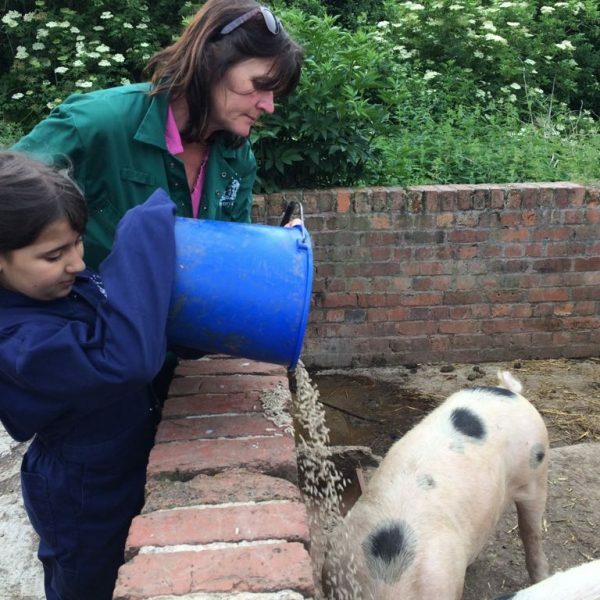 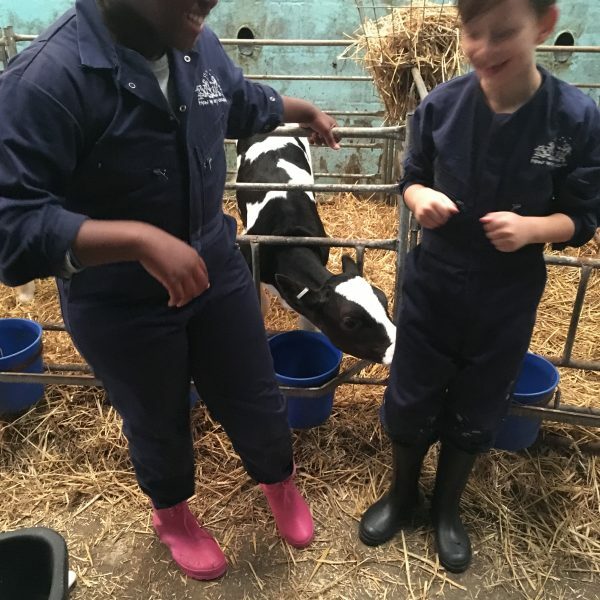 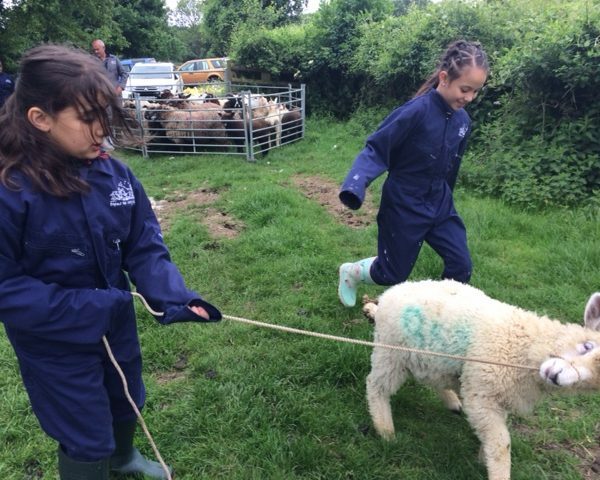 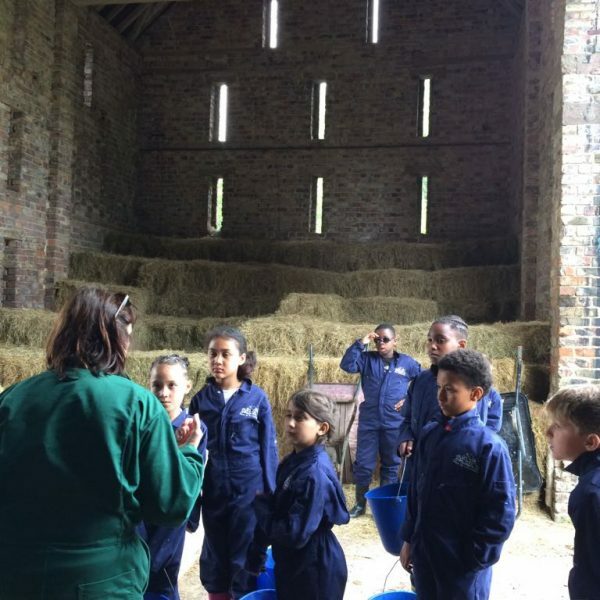 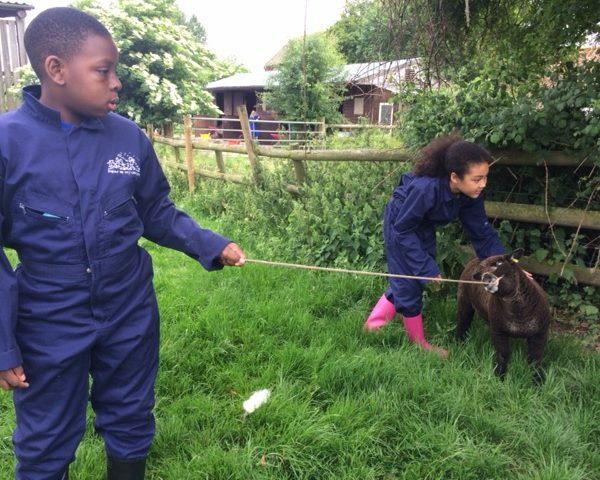 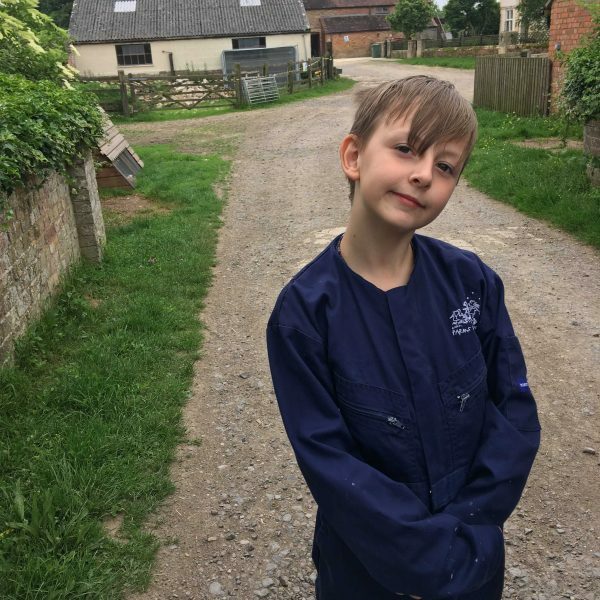 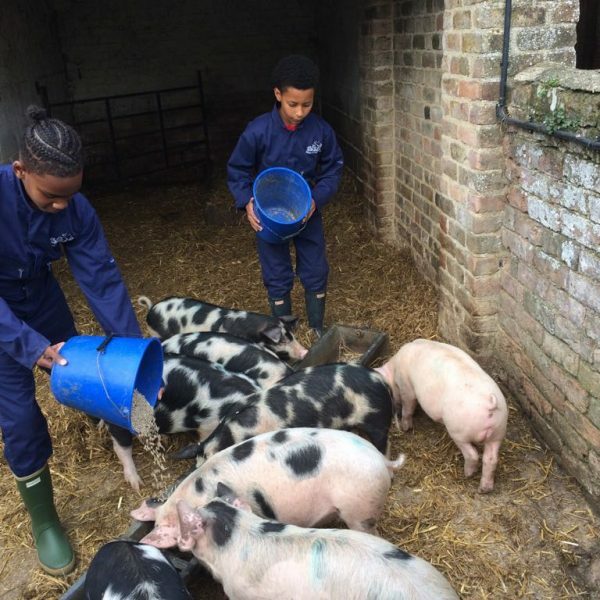 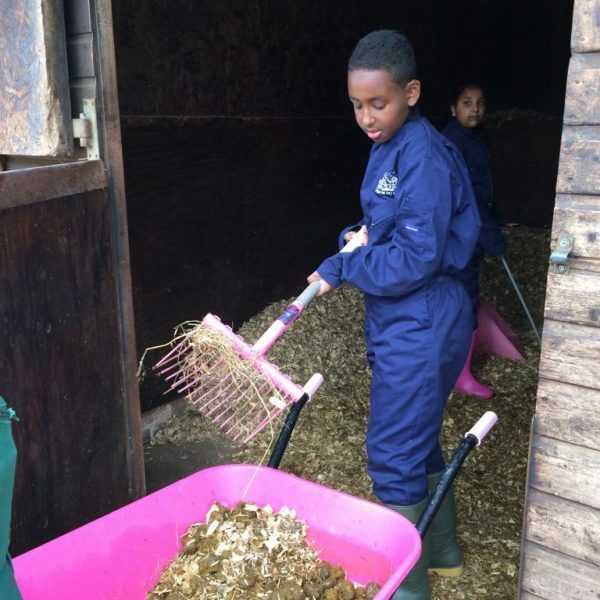 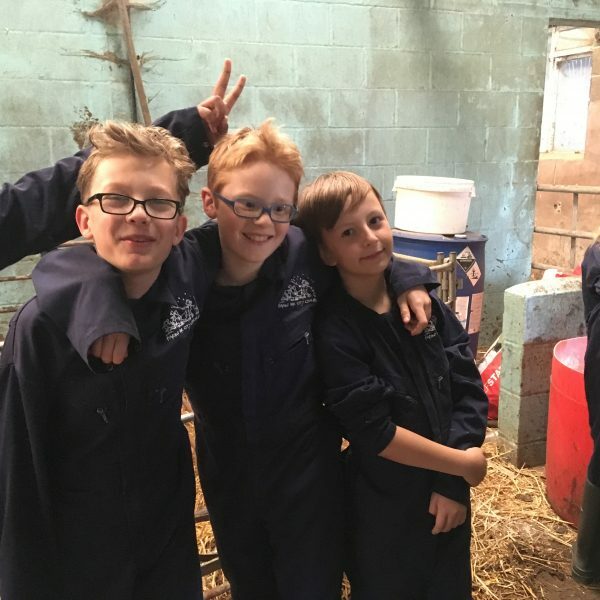 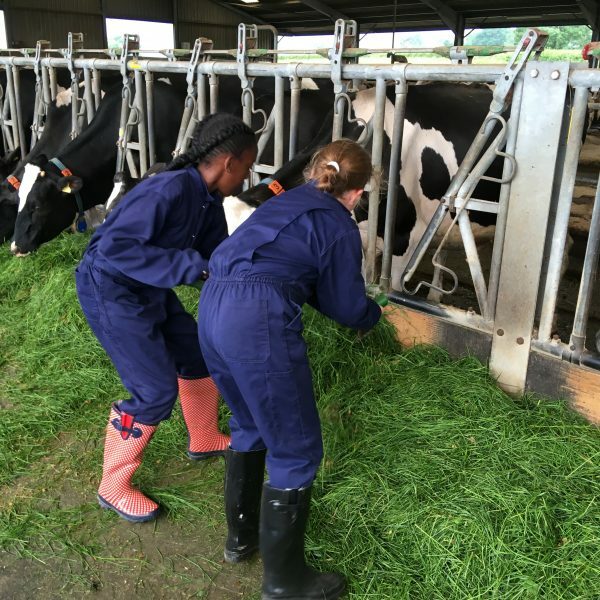 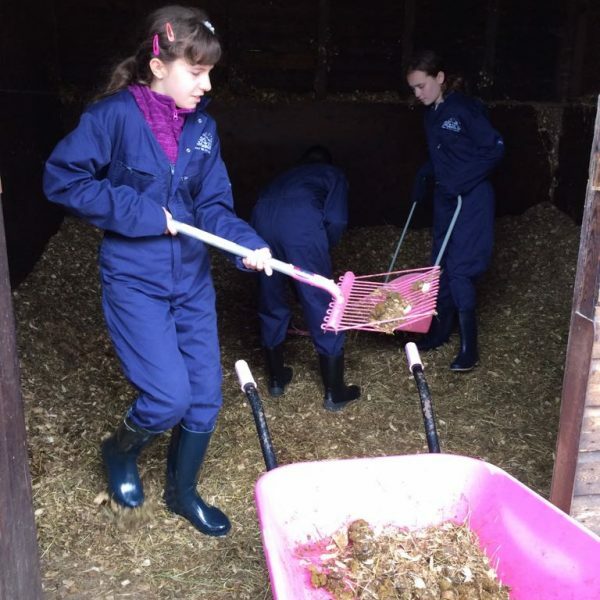 On the Tuesday of their week at Wick Court, the children really got into the swing of farm life. 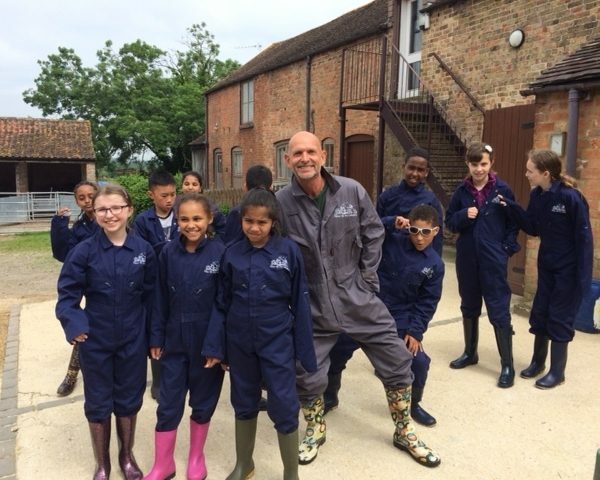 After a hearty breakfast they got into their snazzy and very health and safety conscious overalls and boots. 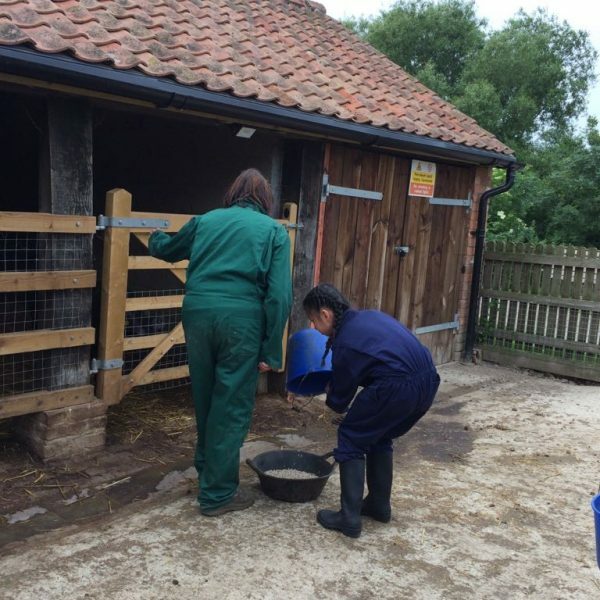 And from there the work began. 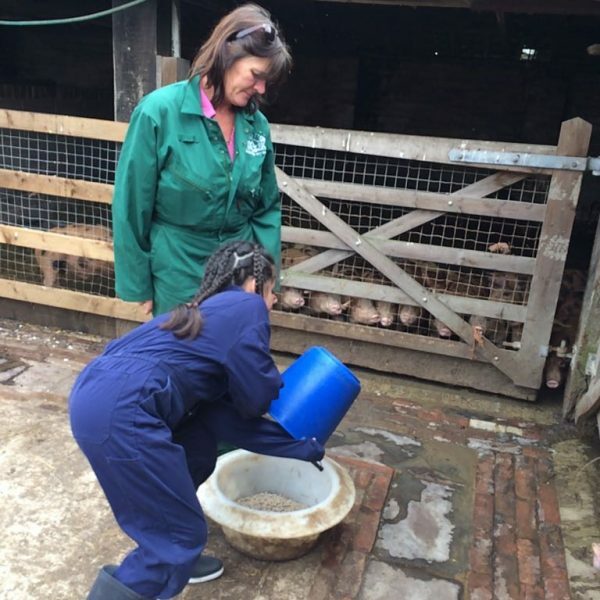 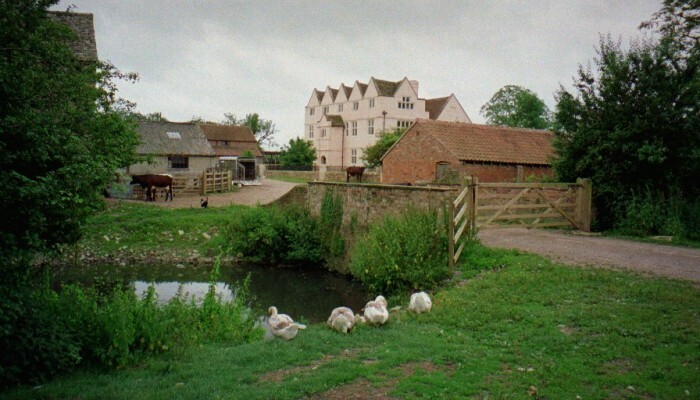 They have been feeding chickens, cows and pigs. 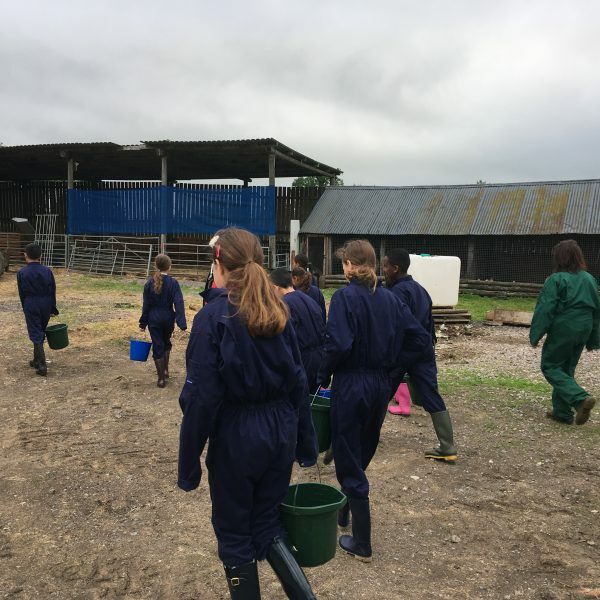 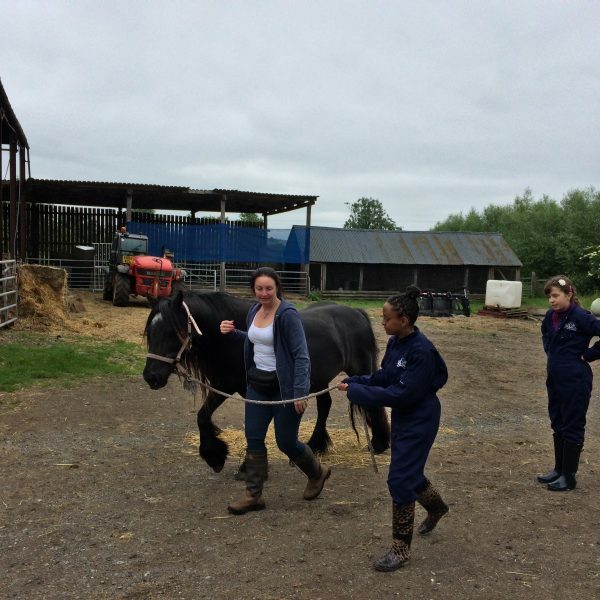 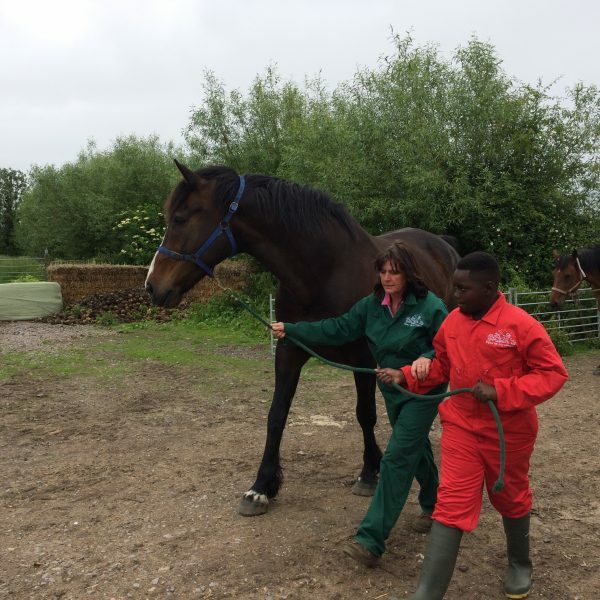 The have taken some sheep and horses for a walk and they’ve had the inevitable but unenviable task of mucking out the cows and the horses! 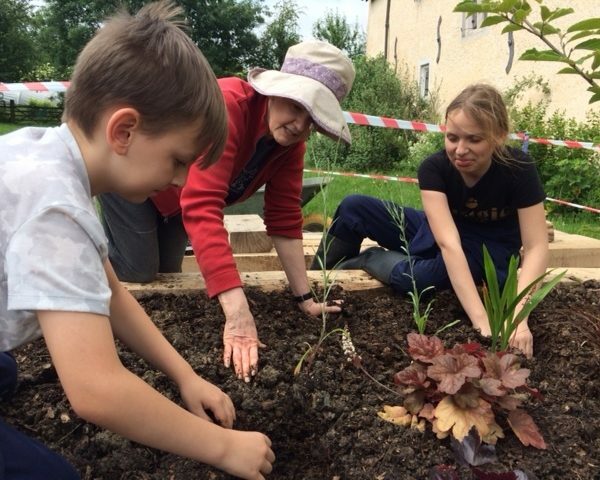 Also some new raised beds are being built at the farm. 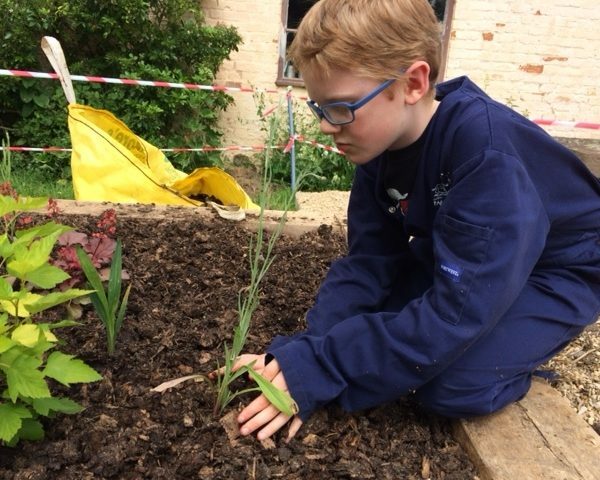 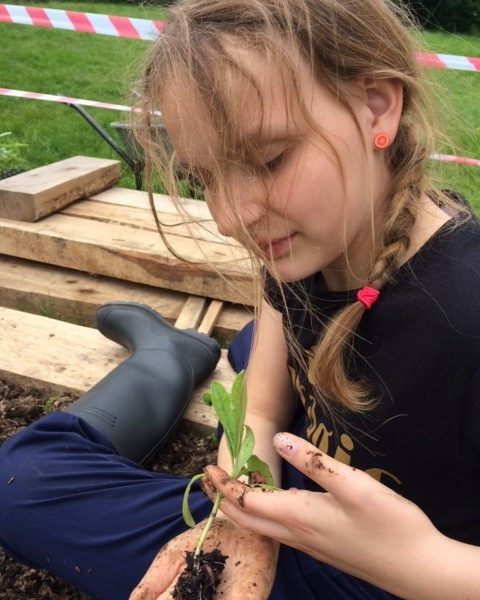 The children planted flowers and found plenty of worms!